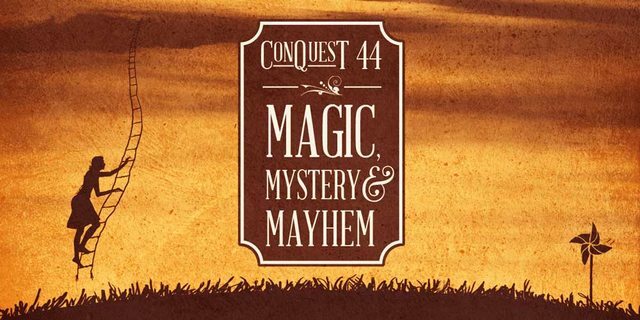 Where will AboutSF be during Conquest this weekend? Why, I'm glad you asked! Saturday, 10 am in Salon C: AboutSF: Who we are, and what we're doing. Join current volunteer coordinators Mackenzie and Meagan as well as Chris McKitterick and past volunteer coordinators as we tell you what we've been up to and what the future holds for AboutSF. ConquestKC's charity auction directly benefits AboutSF, as all proceeds go to our organization to help us save the world through science fiction! We'll also be hanging out at the auction sign up table throughout the con.